Greek traditional boat made by Samian wood in Syros. Fully rebuilt in Paros in 2006. It has 4 sails, it has two main propulsion engines, and an electric generators. Its size is ideal for all the ports of the caldera for no more than 100 passengers . 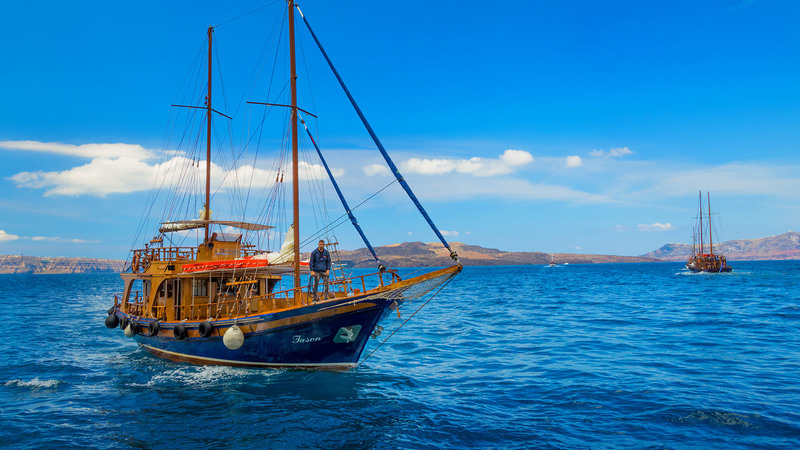 It makes daily organized excursions to the volcanic islands, but is also available for chartering.